Dell's Eee killer in June? It looks like Dell is aiming to get into the new low-cost laptop niche – and the world’s second biggest computer vendor could be piling into the market as early as June. The news comes from an unnamed source at Compal Electronics, which would make the budget laptops for Dell. The source told Dow Jones that between 200,000 and 300,000 laptops would be produced and could come to market by early summer. 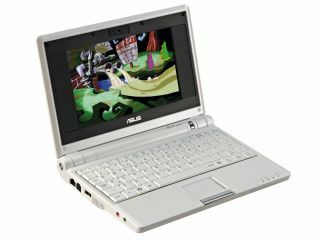 If the news is corroborated, Dell is far from the first laptop maker looking with envy at the sales figures for Asus Eee, the ultra-cheap Linux-based mini-laptop that has quickly become a worldwide phenomenon. Hewlett Packard – which overtook Dell as the number one vendor – has unveiled its HP2133 and Everex’s Cloudbook is attempting to compete in the niche, as well as Acer and MSI.